Modern mythology springs from the best and worst of us. It evolves. The Web amplifies and accelerates the evolution of this mythology. Modern mythology illustrates the best and worst of the human condition. Mythological stories last longest when they show that good behavior will be rewarded and foolish, evil, or stupid behavior will be punished. Modern mythology reveal people's fear of rapid change in technology. 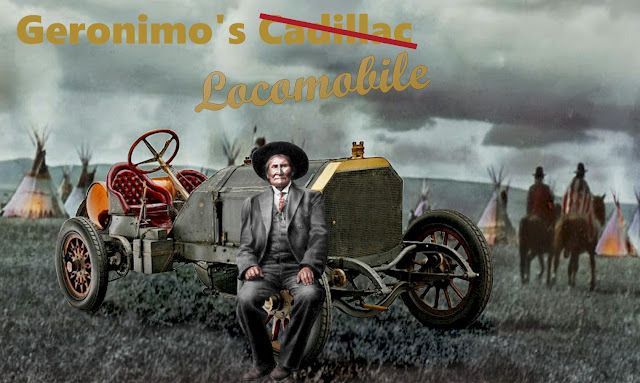 Michael Martin Murphey's song "Geronimo's Cadillac" was inspired by Walter Ferguson's photo of Geronimo sitting in a luxury Locomobile. Contrary to what you might think, the person in the feathered war bonnet is not Geronimo. 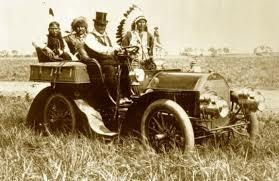 Geronimo is the man in the top hat sitting at the wheel. The song was also recorded by Hoyt Axton and by Cher, whos real name is Cherilyn Sarkisian, who is not an indian, but of Armenian / Irish decent. 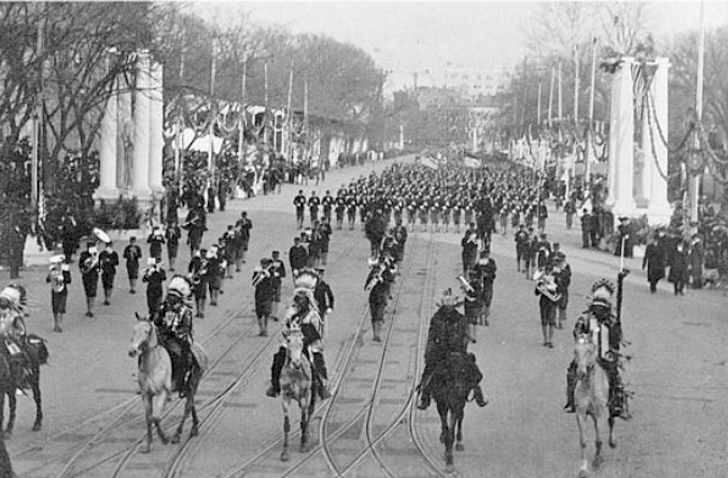 On March 4th in 1905 Geranimo rode in the president Theodore Roosevelt's Inaugural parade. Of the six indians who were invited to march, he was the only one who was not an Indian chief. Geronimo is second from right. Many people thought he was a cowboy. Had Goyathlay owned a cadillac it would have looked like this. 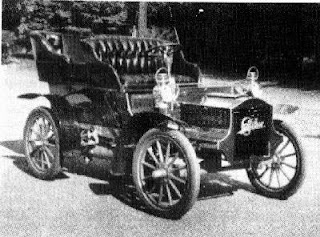 However, he never owned a car, or learned to drive, He simply sat in a Locomobile for a photograph.